Located just outside the city (about 20 mins north of the Perimeter), sits Watersong Farms. This beautiful sprawling space is home to blue skies and endless fields and is also one of the only places in the province you can get fresh-out-of-the-water steelhead trout. Here, owners Leslie and Rudy are the proud purveyors of sustainable fish inside a state-of-the-art simulated river teeming with thousands of fish. This green method of fish production ensures that fresh water is recycled and used to fertilize 10 acres of fields, creating an eco-friendly loop. And while the farm in itself is certainly worth a visit (they sell their fish and whole roasting chickens also processed on site to the general public), the farm is taking it one step further with a series of truly farm-to-table 9 course dinners that highlight the bounty of their own harvest, while incorporating elements from other parts of the country. The evening begins with a tour of the farm and a description of the operation. 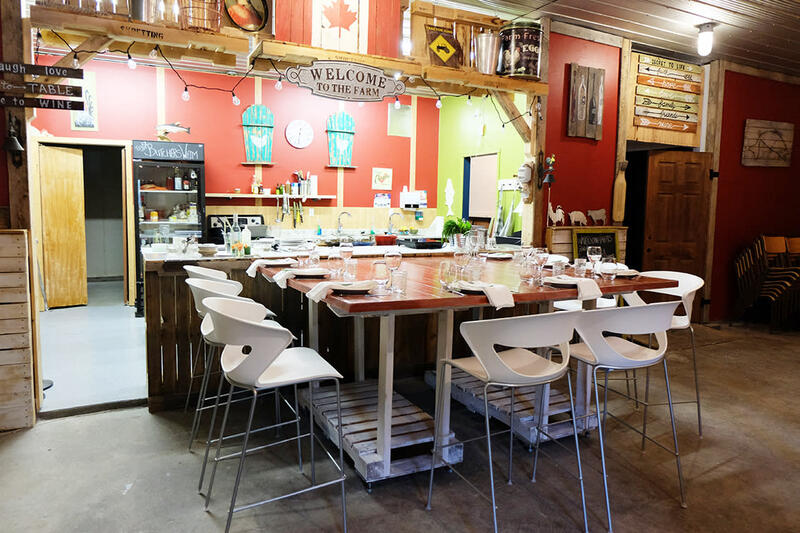 After that, you are ushered into the farms &apos;party&apos; space complete with an open kitchen and table for 8 where your feast awaits. 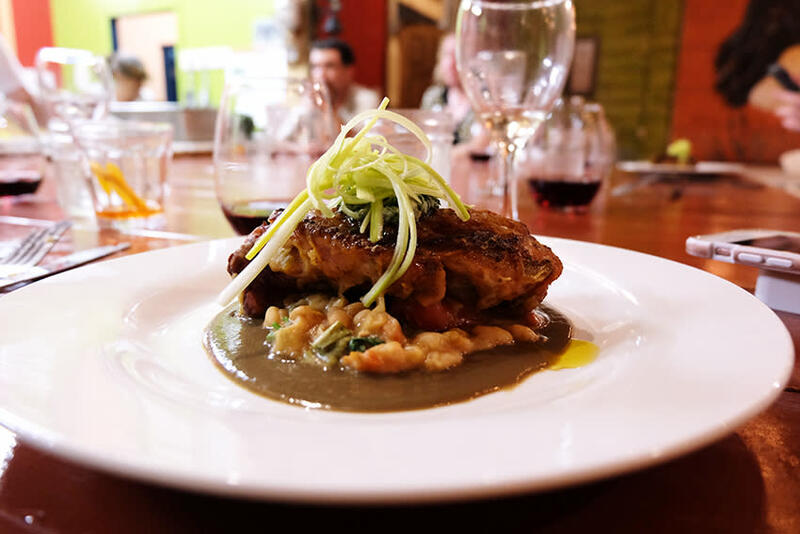 Thanks to the open kitchen, you&apos;ll not only get to feast on the food, you&apos;ll get to watch it all being prepared before your very eyes by Chef Jeff as he relates his connection to the menu and food you are about to enjoy. Chef Jeff also encourages guests to get into the action behind the counter. Dinner started with a cocktail (all drinks are included in the dinner price) and some fresh oysters on the shell served with both a traditional red wine based mignonette and one with a twist, made with cucumber and rice wine vinegar. 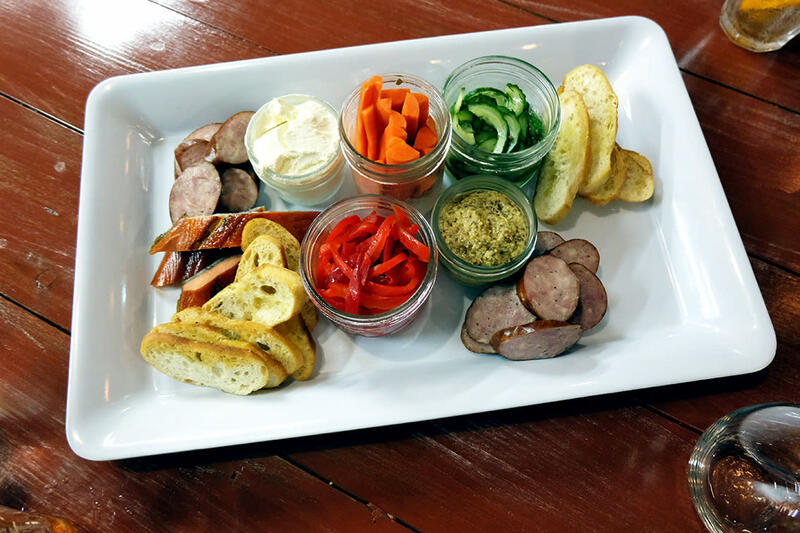 The next courses featured both the chicken and trout coming in the form of a charcuterie with smoked trout and chicken sausage, followed by a trout chowder made with potatoes and locally grown dill. 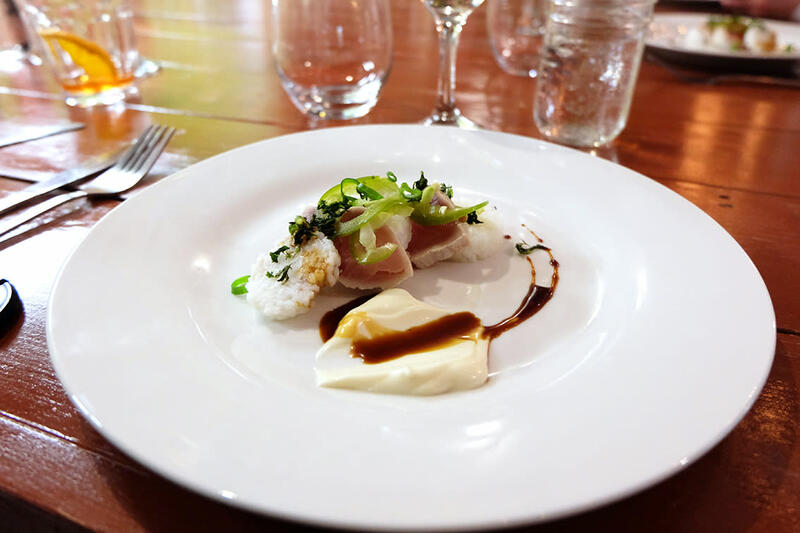 The next course included a nod to Chef Jeff&apos;s west coast roots (love brought him to Manitoba) with seared albacore tuna, sesame aioli and pickled jalapenos. 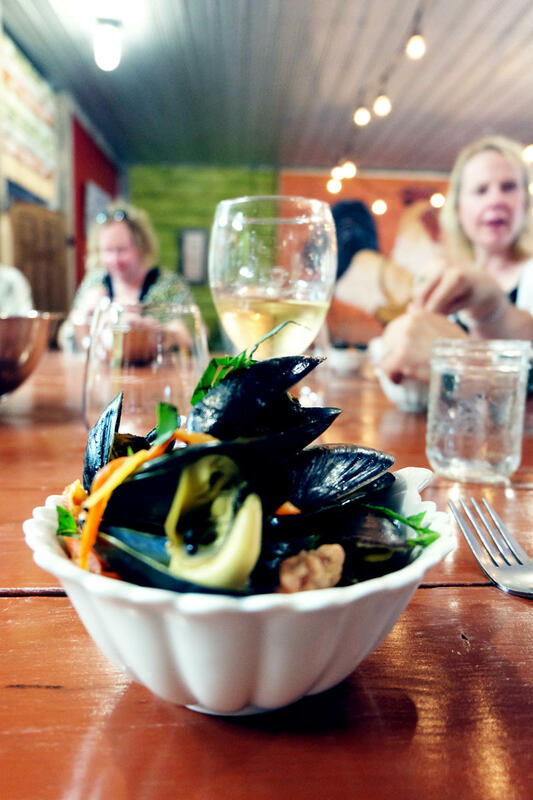 The seafood theme continued with steamed gallo mussels and Italian sausage in a white wine cream sauce. 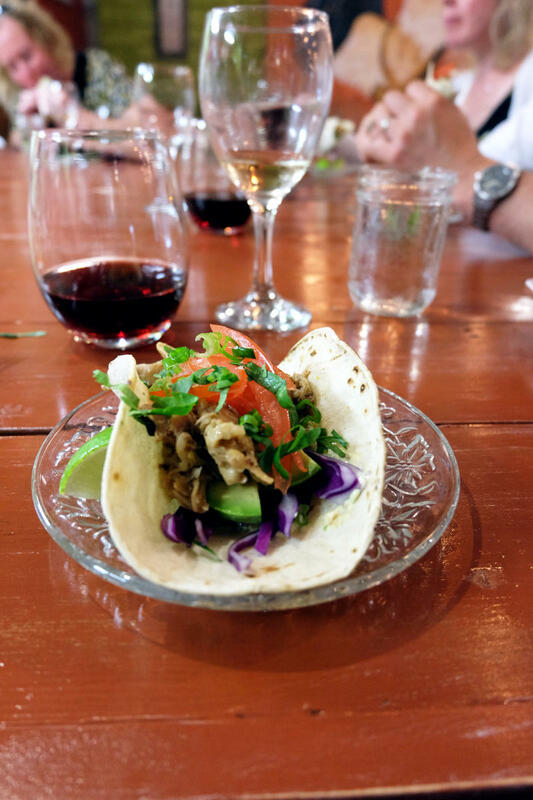 The next course highlighted the farm&apos;s poultry with pulled-chicken tacos served up with chipotle mayo and a squeeze of lime. (I think this was my favourite of the night). 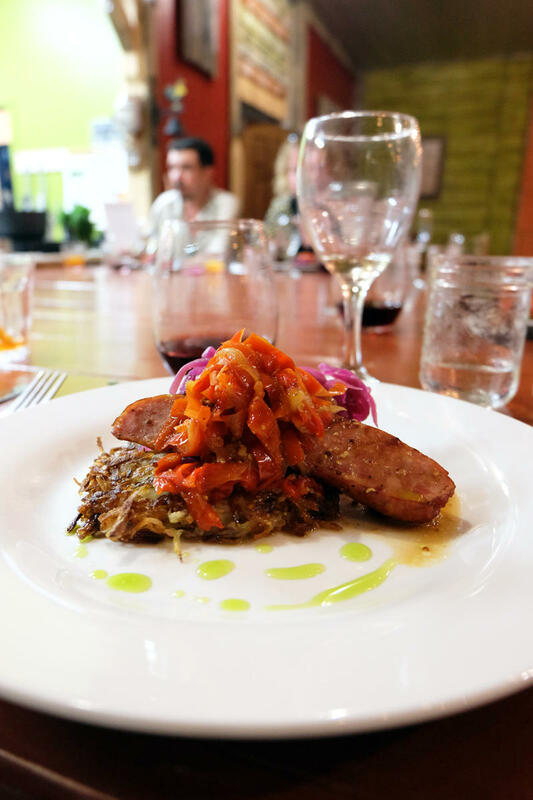 Next up was a nod to Manitoba&apos;s comfort food with chicken sausage (made at the farm of course), served a top a potato latke and topped with braised cabbage and mustard sauce. The final savoury dish of the night (and here is really where you&apos;ll be glad you wore those stretchy pants) was a braised chicken thigh served with a white bean ragout on a brown butter mushroom puree and topped with a chive gremolata (the gremolata was particularly noteworthy in its freshness and flavour). 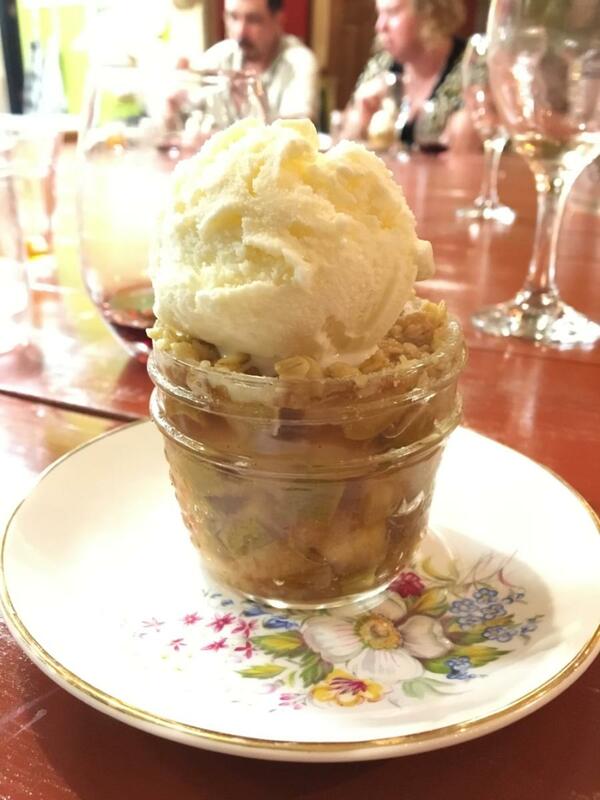 The meal ended with a casual but delicious dessert of apple rhubarb crumble topped with homemade vanilla gelato. It was the perfect way to end. Alongside the meal came pairings with prosecco and Canadian red and white wines as the evening progressed. What resulted was truly a night to remember. The intimate setting. The fresh and local food. The comraderie of the chef and owners who were present and pleasant throughout the dinner. This is experiential dining at its finest. 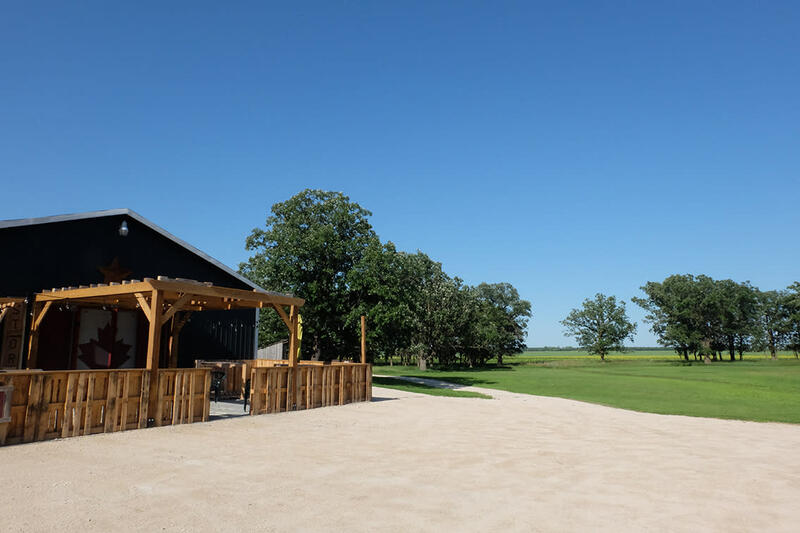 Dinner is priced at $120/person and to find out how you can enjoy your own culinary adventure at Watersong Farms, get in touch with them at 204.322.5558 or 877.322.5558. Travel Manitoba staff was hosted by partner Watersong Farms and West Interlake, who did not review or approve this story.